There is useful information for the students who are completing the diploma of leadership and management. It will help you to complete your assessment. 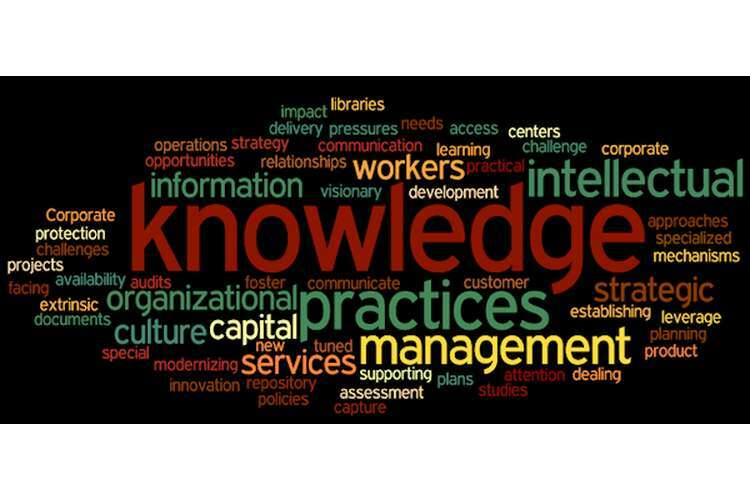 This unit explains the knowledge and skills and needed to develop and continue information processing structures to help decision making and to enhance the use of knowledge all over the organization. You should follow all instructions carefully to successfully complete your project. This assessment has four tasks to complete. You are advised to read all instructions on completing each assessment. All answers must be typed in a word document and the font style must be Arial, size must be 12 and single spacing. In this task you have to determine the skills and knowledge, it is essential to gain information to classify and examine business issues. In this task, you have to give a scenario of particular business information in which you will source, collect and evaluate data and information and use formal and informal networks to classify and examine business issues and problems. 1. Review and familiarize yourself with XYZ’s general business information in Appendix 1. 2. Review and evaluate business performance data and information in Appendix 2. 3.Evaluate and examine customer and marketing information in Appendix 3. 4. Review and examine management and staff meeting summaries. 5. Collect, organize and evaluate the data and facts provided to identify and given business issues or problems. 6. Test the validity and consistency of data and information you have used to classify and examine the possible business issues or problems in the previous step. Check sources of given information and their credibility and consistency. Determine if any are ambiguous. 7. Select two of the business issues and problems in the previous step. Find types and sources of information needed to define the suitable course of action and support decision makers for your selected problem and issues. 8. Access and review information available through formal and informal networks relevant to the business problem or issue. Networks could include formal and informal industry networks, internal business networks, social media or internet communities of practice. a. A brief explanation of all the business issues or problems you have recognized. b. Clarification of how you grasped this conclusion, with a description of how the data and information support your conclusion. c. Make a list of the sources and types of data and information needed to examine potential causes of the issues and problems. d. Collect information from two sources on your list and describe how they support decision making. You need to attach a copy of collected information your report. What procedures and techniques were applied to test the validity and reliability of data and information you have collected? What data and information were disallowed because it was deemed ambiguous and contradictory? Assisted in classifying and examining the business issues and problems. Can be used and define and analyze the proper course of action. f. Copies of data and information you have researched (other than those provided in the appendices) that are relevant to your analysis process and identification of the business problem/s or issue/s should be attached to the report. You have to show the skills and knowledge needed to examine information and knowledge on business problem and issues to decision making. You have to use in this task specified business information and response to a scenario; you will classify patterns or developing trends, define the causes and their possible effect on the business by applying statistical analysis technics. You have to evaluation document process and adjust management information or decision support system. 1. What is your objective for the analysis process you plan to undertake? 2.Describe how management facts and decision support structure can assist you when analyzing information and classifying trends and patterns. 3. Briefly, define how management information or decision support structure can support the analysis of the offered course of action and their effect on the business. List of steps needed to adjust information. You have to show the skills and knowledge needed to create a timely decision on recognized business issues. According to a scenario, you have to use given business information and you have to develop risk management plans, sensitivity, and consultation process to decide acceptable courses of action and create a decision. You have to make a presentation to specified business managers detailing options available for possible courses of action and your commendations. 2. Analyze XYZ organization chart and make understanding of the business’s reporting and command structure. 3. Review, appraise and analyze the information given about each of the decision option facing the specified organization. 4. Analyze risk management and business effects examine information. 5. Review and analyze specified city information. 6. Utilize sensitivity, statistical and quantitative analysis techniques to examine and determine the course of action to resolve the business problem or issues. 7. You must complete a minimum one sensitivity, one statistical and one quantitative calculation for assessment. 8. Analyze documentation of specified business, with procedure and policies, relating to management and decision making and employee responsibilities to help in understanding and managing changes within the specified business policies and procedures. 9. Review XYZ simulated business documentation, including policies and procedures, relating to decision-making and management and employee responsibilities to assist in understanding and managing change within the business. 10. Complete force field diagrams for options 2 and 3 to help you determine which course of action to recommend to Emma and Rufus and assist their decision-making. 11. Complete Part 4 of the Decision Analysis Report by making a recommendation and outlining why you have come to this conclusion. 12. Arrange specialist consultation by contacting appropriate sources to explore their range of services in a commercial setting similar to the case study. Then answer the assessment questions in Appendix 5. 13. Arrange a time and place with your assessor to complete your presentation, including feedback on the specialist consultation. 14. Present your recommendations to one of the owner/managers of XYZ as per role-play and presentation guidelines provided in Appendix 6. You have to show the skills and knowledge needed to design, update system, test and communication plans to broadcast information to the business. According to a scenario, you will ensure the information systems used to capture, document or broadcast information are designed, updated and tested to meet information requirements of decision makers. 1. Review XYZ business documentation, with policies and process relating to communication, privacy and confidentially of information to help in understanding and managing information dissemination within the business. 3. Prepare a report specified business owners based on their specified requested content. 4. Prepare a communication plan for the information within the organization. d. Create at least two reports to demonstrate different required outcomes from the stored data, e.g. sales category output or customer purchasing patterns.